Indulge yourself by buying this stunning multi level living spacious family home in this highly sought after area. Quality built of brick and weatherboard, and situated at the top of a quiet cul de sac surrounded by other prestige properties, this home has everything you and your family could want. Light, bright and spacious and double glazed, attracting plenty of sunshine, keeps it warm throughout. Living is cleverly spread out and offers perfect outdoor flow from different levels, to a beautifully designed and crafted entertainment area - just perfect for the summer. Inside luxury includes 6 spacious bedrooms, four bathrooms, three of which include ensuites, with all bathrooms fully tiled with underfloor heating. There is an open plan designer kitchen and dining, large private living area, and a further open plan lounge. Chattels include a HRV system, heat pumps, dual video intercoms, multi-zone alarm system, and quality fittings throughout. 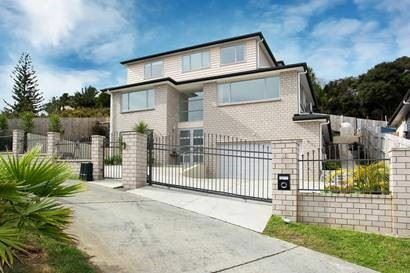 The home is fully fenced and gated, and perfectly located for both Rangi College and motorway access. It has everything you could wish for and more!